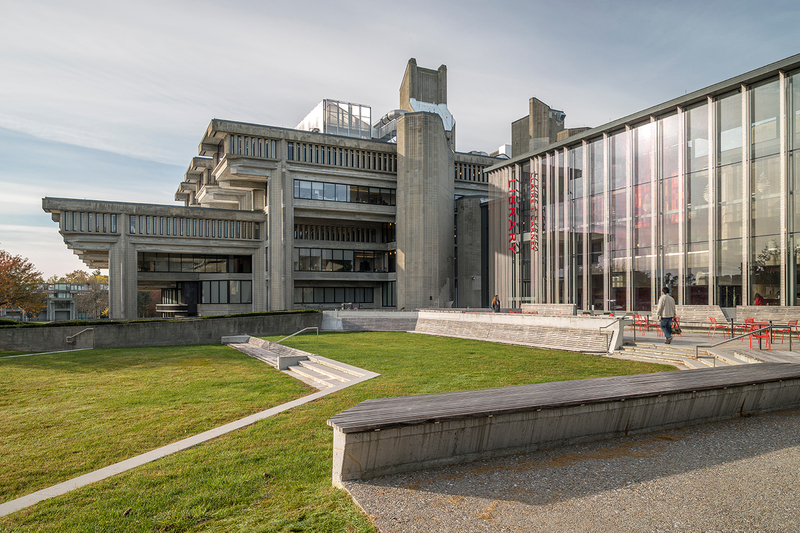 Paul Rudolph’s UMass Dartmouth campus is a challenging setting within which to design, as its midcentury campus architecture was so assertively conceived. At the Claire T. Carney Library, RBA met this design challenge by developing a contemporary site furnishings typology that is based on an analysis and interpretation of the geometric patterns Rudolph employed throughout the campus. 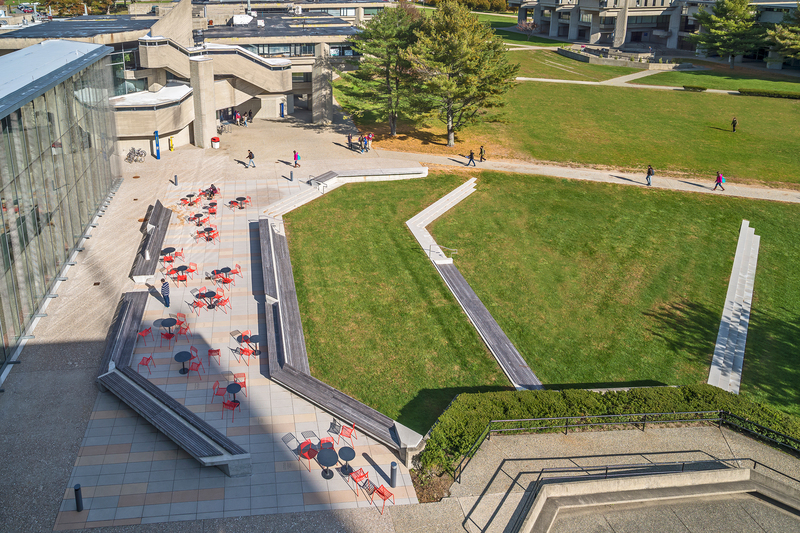 The geometry of the furnishings resonate with the architect’s original design intentions within the library landscape, which serves as the academic hub of the campus. Having revealed the existing hierarchical variations on the octagon, RBA then looked at designLAB’s interior furnishings design approach. A similar family of exterior furnishings was then extrapolated and explored in plan layout – as fragments of Rudolph’s octagons. 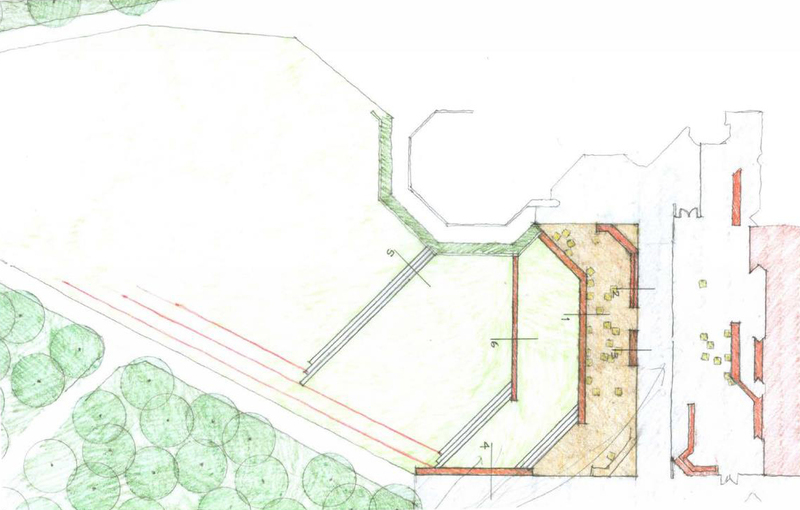 The result is a contemporary and complex outdoor setting. While additive, this extension of Rudolph’s architectural philosophy strengthens the identity of this historic, modernist campus.